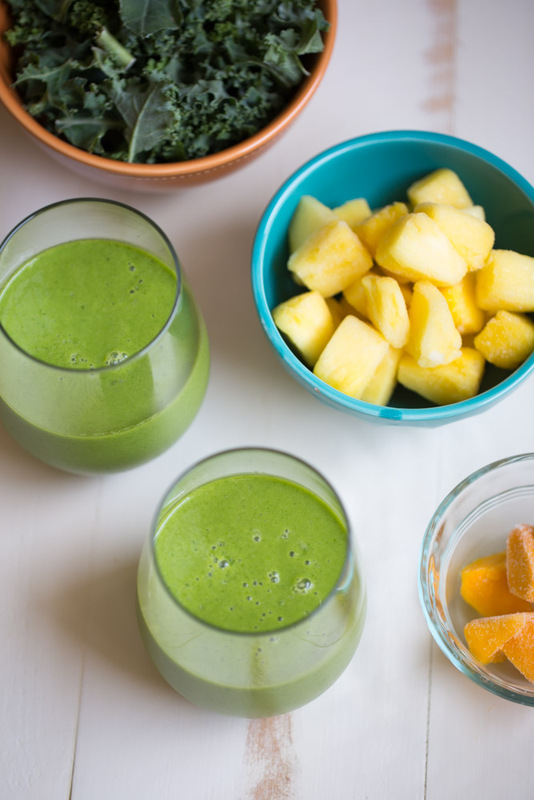 Tropical Kale Smoothie is packed with tons of healthy kale! Mango and pineapple add a bit of sweetness and tropical flavor and plain yogurt make it irresistibly creamy. 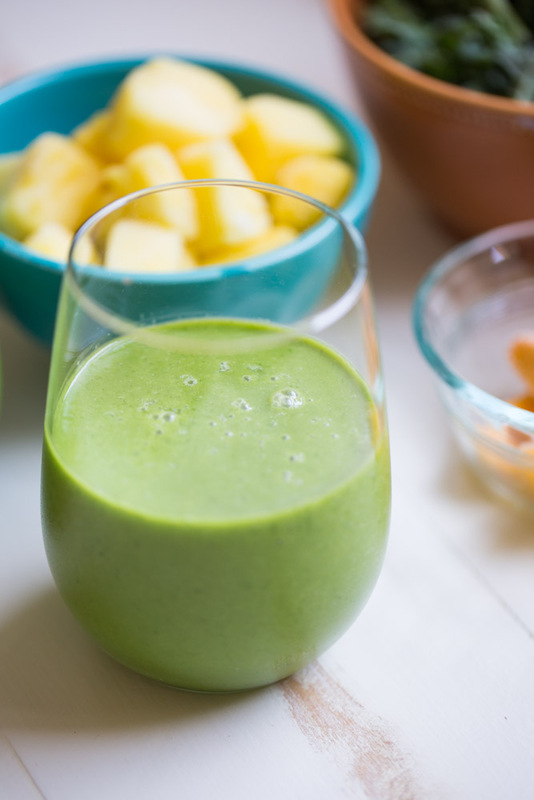 This smoothie is full of healthy kale. I used a higher ratio of kale to pineapple and mango because I didn’t want to overload the smoothie with too much sugar. The pineapple and mango give it a subtle sweetness. 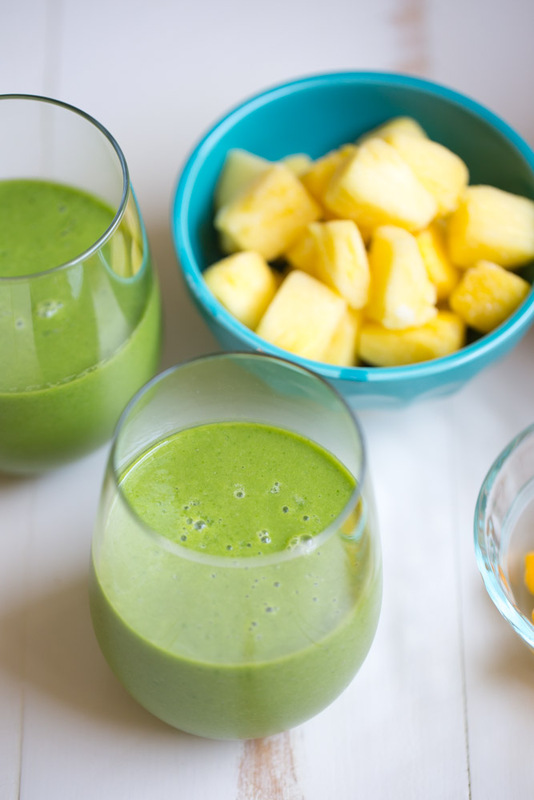 If you don’t like the taste of kale, you may want to add more pineapple and mango but trust me, it’s good as is, especially if you don’t have a huge sweet tooth! Place all of the ingredients in a blender in the order listed. Blend until smooth. Pour into glasses and enjoy. Love the mango and pineapple flavor! This would be great to start the day with…thanks Julie! I love using pineapple in my smoothies, and its great for relieving inflammation. Love all that Kale keeping it healthy! One of my favorite combos! The Kale is perfect with the tropical fruits. What a great breakfast! Thank you, Roxana! I agree, the kale goes great with tropical fruits! So healthy, easy and refreshing. Totally up my alley! I’m loving these ingredients…I’m sure this is one delicious smoothie! Cheers! I hope you enjoy the smoothie, Katerina! Loving the color of this smoothie!! Kale is the best in smoothies! Thank you, Serene! Having kale in a smoothie is one of the only ways I will eat kale!